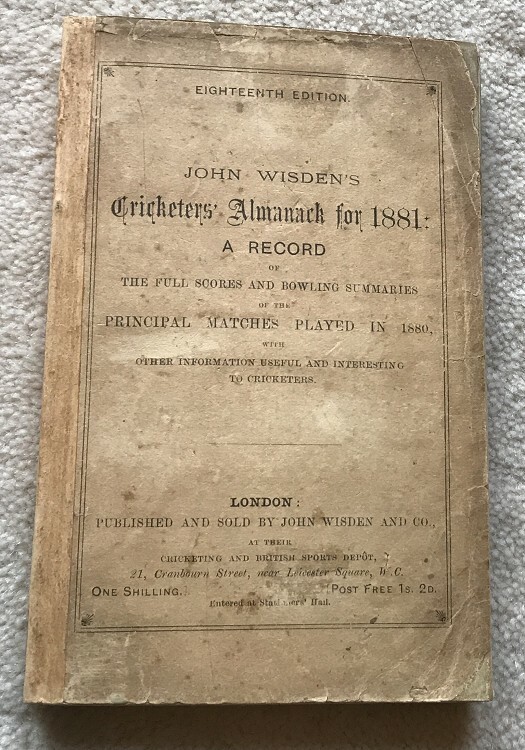 This lot is an 1881 Wisden , It is a paperback which has had the spine reinforced. It is in OK condition and hence listed at a fabulous price. Postage: £8.00 which covers Special Delivery & Jiffy Bag to UK else £15.